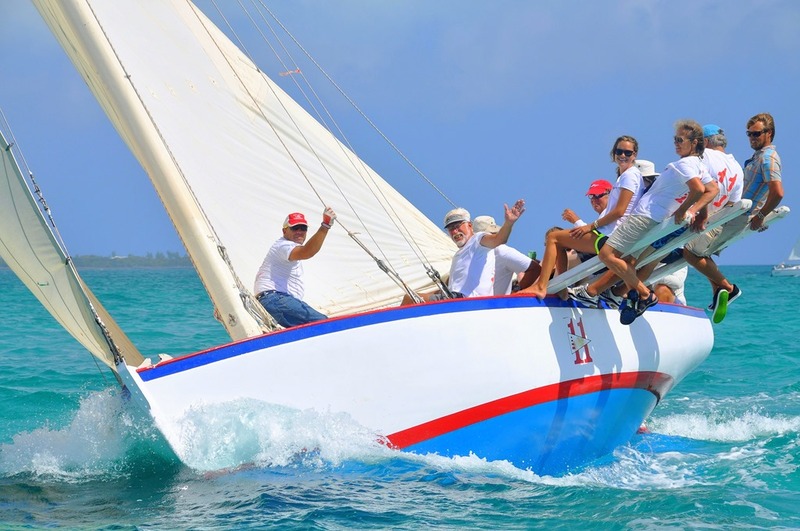 The Abaco Rage is a traditional, wooden Bahamian racing sloop. 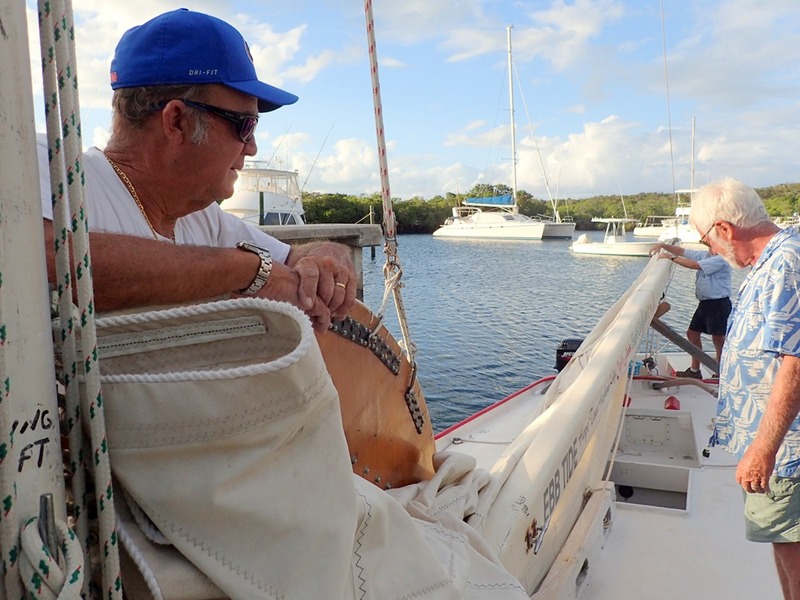 She lives in HopeTown’s harbor, on a mooring. 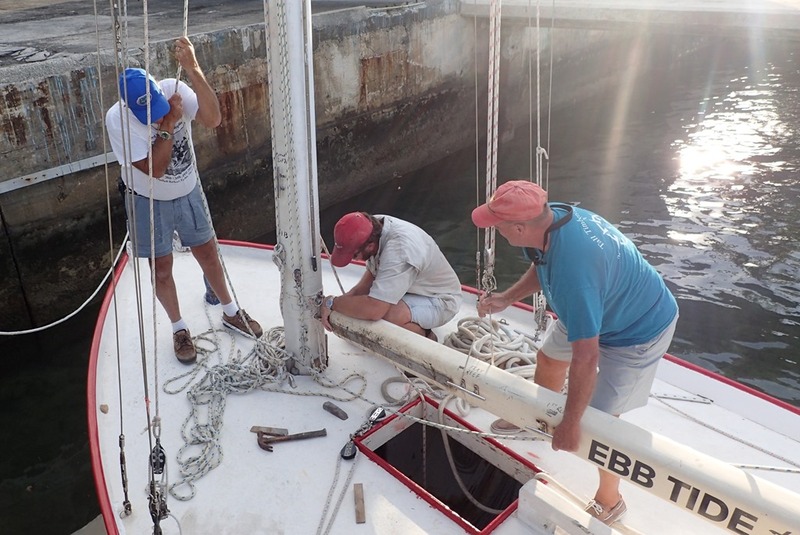 Now she’s being spiffed up for the HopeTown Sailing Club’s racing series – the first race is this Wednesday. 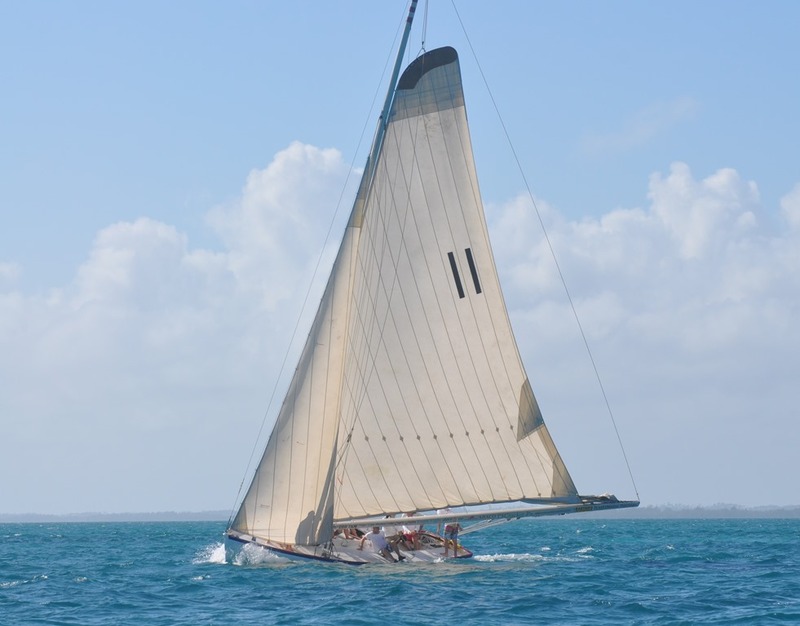 Her rigging was checked and updated; rot in the mast was replaced by fresh wood; and paint was carefully touched up. 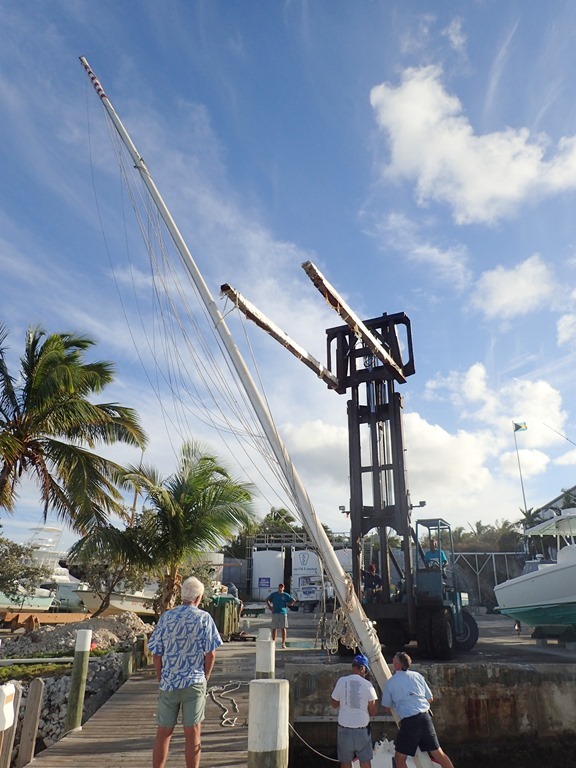 Today, she was rejoined with her rig – her mast was stepped and her boom was reconnected. Since her homeport is HopeTown, the paint scheme reflects HopeTown’s candy stripe lighthouse. A forklift raised the mast, the line around it carefully placed at the perfect balance point. The height the forklift can achieve controls when the mast can be stepped – at low tide, so Rage is far below the boatyard’s dock and the forklift can raise the mast high enough to clear the deck. Up, up it goes. “A hole in one,” the excited forklift driver calls out. “My first one.” Meaning the mast dropped perfectly into its hole on Rage’s deck and down onto the keel – on the first try. Next, the mast was blocked. 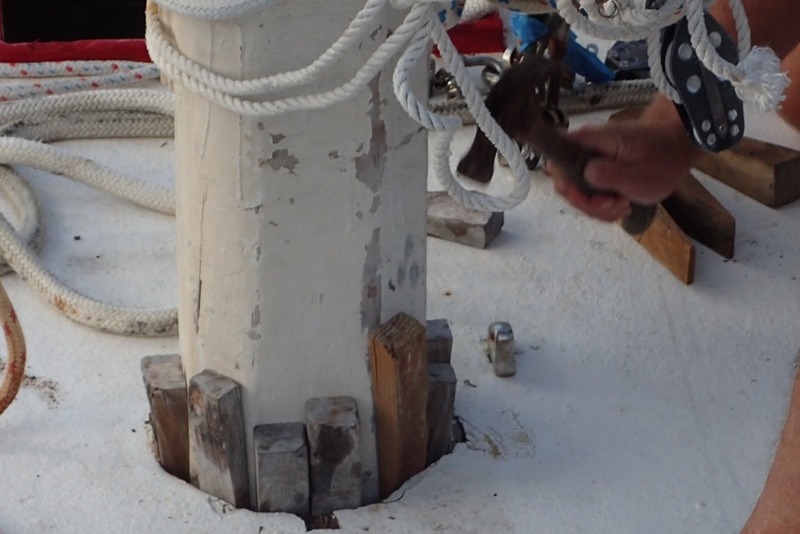 Then the shrouds and stays that hold up the mast were sorted out and attached to their turnbuckles and chain plates. Like a nautical “Maypole” dance. 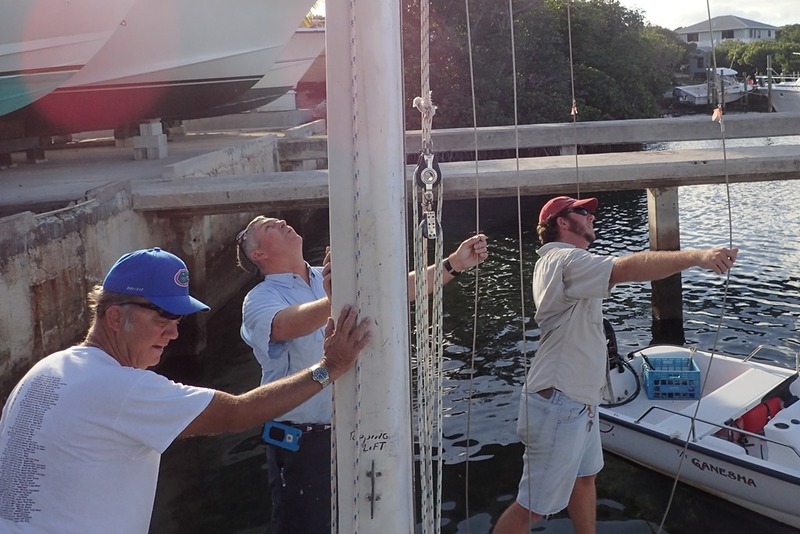 Hooking up the forestay required lots of weight to pull the mast forward. Luckily, lots of weight was available. Goldwin is in the blue and white shirt in the back. The forklift lowered Rage’s 38’ long boom onto its deck; it was then connected via a gooseneck to the boom. 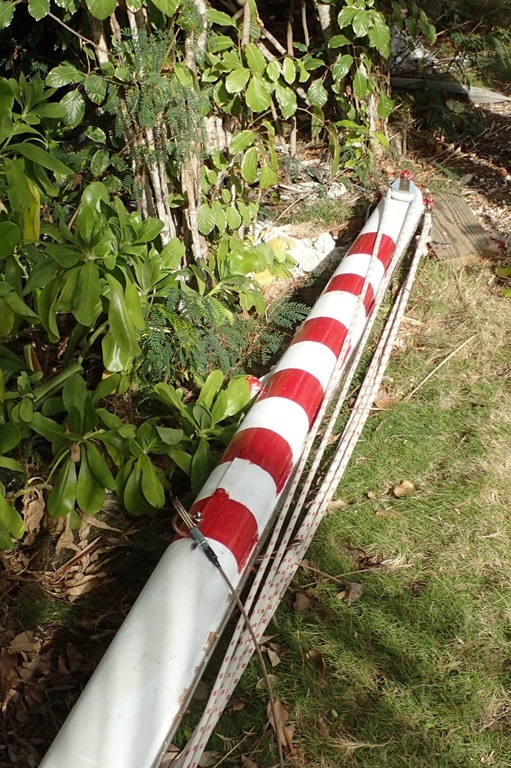 Finally, the mainsail was slid up its track. 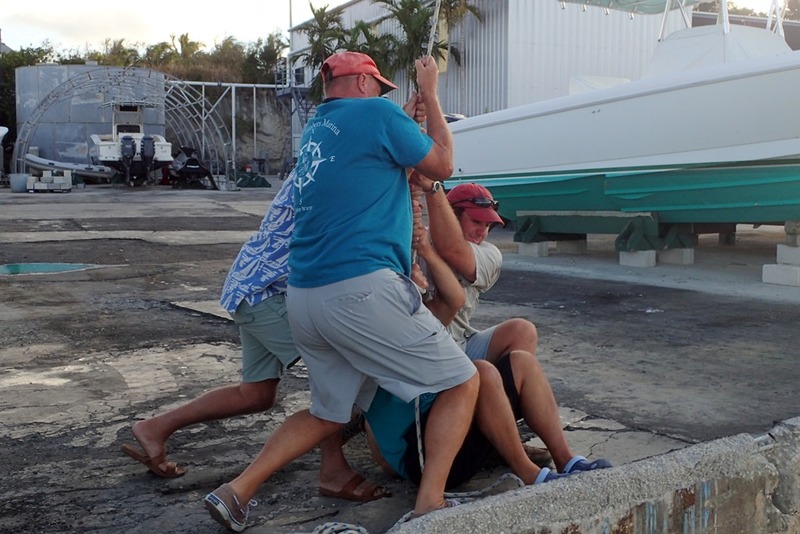 Someone had to get into a little boat behind Rage to hook up the outhaul because the boom sticks out past the end of the boat by about 10-12 feet. Can’t wait until race day. Here’s a picture of Rage racing last year. Goldwin is sitting on deck, waving; I’m on the forward pry, leaning back. Fun. Looking good, you two😊 Gorgeous boat!